Simon Peter went up, and drew the net to land full of great fishes, an hundred and fifty and three: and for all there were so many, yet was not the net broken. – John 21:11. A personal invitation to join our vision, actually providing 1st century solutions for a 21st century world. To be very clear: what I’m sharing here is by no means a desire to tell other churches what to do, or how to do their ministries. No. I am not here building on another man’s foundation (Rom 15:20). I do not claim to be the one with all the answers, far from it. Nor is my mandate to try and change how others do things- not my concern. Neither do I wish to deny the good that is being done by so many other ministries and ministers out there, No. I’m grateful for wherever the Body of Christ is doing a work. These pages are simply my opportunity to share the vision that I have for ministry as God has graciously taught me down through the years, and to see its implementation and manifestation in the world. * Are you tired of seeing Churchianity as usual? * Did you know that the single pastor system is not found in the Bible? * Did you know that apostles and prophets are for today? * Do you know that oftentimes those called apostles are not? * Did you know that how Christ originally designed evangelism and discipleship He did so in such a way that converts would not have to look like Jerusalem, or America? Rather, each local church would match its indigenous people’s culture? * Do you feel like you’re just being counted as a number in today’s mega-churches? What if you’re called to be a vital part of the Church no matter what your function is? * Do you feel like you’re just being entertained at church for an hour or two when actually you’re an expression of Christ Himself through the Spirit in the earth today? That church should be something more intimate, more alive, and actually making a compassionate difference in the world? * Are you a new preacher just entering the ministry and are looking for a more authentic means of reaching the world like the early Church did, fulfilling your divine destiny? * Are you looking for a vibrant ministry you may partner together with where the book of Acts is being lived out under the power and anointing of the Holy Spirit? If the answer to any of the above is ‘Yes’- Please Read On! The vision for Leon Bahrman Ministries is precisely toward global evangelism utilizing the pattern given to us in scripture itself, and seen during the 1st century of Church history as depicted by the Ante Nicene Fathers. 2. Ordaining a plurality of elders (a.k.a. pastors, bishops) in each church. In addition to roaming apostolic teams, there will be teams of prophets going about encouraging the gifts of the Spirit in these churches as well. Wherefore he saith, When he ascended up on high, he led captivity captive, and gave gifts unto men…And he gave some, apostles; and some, prophets; and some, evangelists; and some, pastors and teachers; For the perfecting of the saints, for the work of the ministry, for the edifying of the body of Christ: Till we all come in the unity of the faith, and of the knowledge of the Son of God, unto a perfect man, unto the measure of the stature of the fulness of Christ: That we henceforth be no more children, tossed to and fro, and carried about with every wind of doctrine, by the sleight of men, and cunning craftiness, whereby they lie in wait to deceive; But speaking the truth in love, may grow up into him in all things, which is the head, even Christ: From whom the whole body fitly joined together and compacted by that which every joint supplieth, according to the effectual working in the measure of every part, maketh increase of the body unto the edifying of itself in love. – Eph 4:8, 11-16. This is not as some ‘apostolic movements’ of today, where the apostle is some egomaniac lording over other ministers, telling them what to do. The legitimacy of these very important offices comes under disrepute by such. Yet authentic apostolic and prophetic offices are in great need today. In this day and hour deception is on the rise concerning end times prophecy, the divinity of Jesus, the gifts of the Spirit, and other crucial doctrines. What we’ve taken for granted as biblical orthodoxy for centuries are increasingly coming under attack- particularly the ongoing efforts of many so called reformed Christians who’re undermining the very scriptures upon which we received divine revelation. Strong foundations are needed for the churches so as to not be swept away by the flood of false doctrine being promulgated in the Church today. And are built upon the foundation of the apostles and prophets, Jesus Christ himself being the chief corner stone; In whom all the building fitly framed together groweth unto an holy temple in the Lord – Eph 2:20-21. Also, it is evident that the Body of Christ hasn’t yet come unto this maturity of which Paul taught of as being a reason for the gift ministries. Therefore the need for the 5-fold gifts are ever needful today as much as it has ever been since the first century. We envision apostolic and prophetic teams travelling about, overlapping each other’s works in the Spirit. They will establish fully functioning local churches, immunizing them against an abusive single-pastor system, with it’s tyrannical overreach, cultic control and potential for spiritual abuse- just by establishing a plurality of elders, which as co-pastors equally sharing their role among the congregation, meet people’s needs prayerfully, and by the Spirit. Likewise we’ll see roaming Evangelists, miracle workers as in the great days of the Healing Evangelists of the 40’s – 70’s. Oral Roberts? Kathryn Kuhlman? William Branham? We still need that kind of revivalist and healing evangelism today- going toward adding to the churches daily such as should be saved. Within each localized church, we’ll see a plurality of elders and deacons serving the needs of the congregation of saints, having also a subset of teachers who work to educate the church in multiple Bible studies established throughout each city. The symbolic nature of this number has long been either suspected or known throughout Church history. And its significance to Leon Bahrman Ministries is of paramount importance. This is the quantity of ‘great fish’ caught miraculously by the disciples under the resurrected Jesus’ direction in John 21:1-14. What then is the significance of 153? There is much, but for this ministry we look at that 153 as the 17th triangular number, which means that the sum of a given number forms an equilateral triangle. For example, the 1st triangular number is 1, which is 1 + 0 = 1 (one dot); the second is 3, which is 1 + 2 = 3 (a pyramid of 3 dots); the third number is 6, which is 1 + 2 + 3 = 6 (a pyramid of 6 dots); and the 4th number is 10, 1+ 2 + 3 + 4 = 10 (pyramid of 10 dots). So the 17th triangular number = 153, which is 1+ 2 + 3 + 4 + 5 + …..17 = 153! And it shall come to pass, that the fishers shall stand upon it from Engedi even unto Eneglaim; they shall be a place to spread forth nets; their fish shall be according to their kinds, as the fish of the great sea, exceeding many. – Ezek 47:10. The Hebrew word גדי – gedi (of Engedi) = 17 in gematria (where letters equal numbers)! And 153 is the sum of the 17th triangular number. Likewise the Hebrew word עגלים – eglaim (of Eneglaim) = 153! This being the number of fish caught by the resurrected Christ! 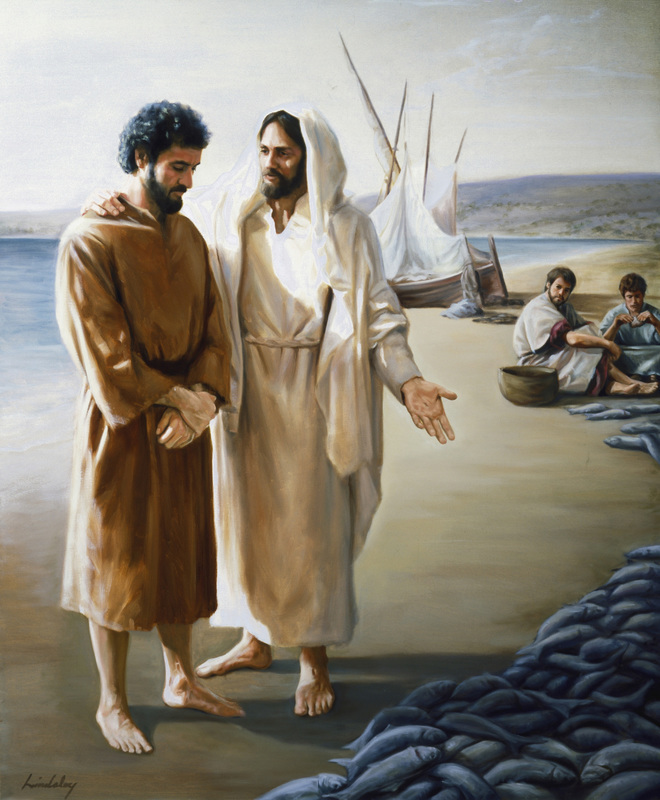 And he saith unto them, Follow me, and I will make you fishers of men. – Mt 4:19. Thus 153 means for this ministry the miraculous catch of souls for the Kingdom of God through the flow of the Holy Spirit. You are personally invited to enter into this vision with us. What do you feel called to do? Do you see yourself as an elder, or co-pastor, working with others in overseeing a congregation of believers meeting their needs? Or, do you feel called to join a roaming ministry of apostles, evangelizing and setting up churches in different regions of the world? Do you feel called to the prophetic? Just contact me, and let’s get talking! I look forward to working together as the Spirit wills. To connect with me regarding this vision, Book Now!